Have your students make this simple cowboy hat to wear for a perfect ending to a readaloud or to wear for Texas Public Schools Week. It will make them "yee haw" for joy. Just have them color cut and you staple/glue to a sentence strip. I hope you LOVE these mini posters! You can print them in color or black and white to save ink! Domains included: *Learning Strategies *Listening *Speaking *Reading *Writing Have a blessed day! Want your kids to know a little about Stephen F. Austin, Father of Texas? Use this simple coloring booklet. I hope you LOVE these mini posters! They are black and white and will help you save ink. 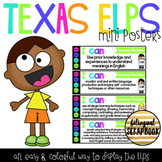 I can mini posters included: *Language Arts *Math *Science *Social Studies Have a blessed day! This product includes 4 posters. 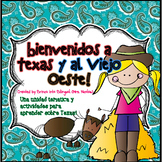 These posters can be used at a fluency center, or to simply post next to the classroom flags. This product is in English and Spanish. 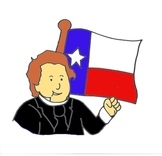 Want your kids to learn about "El Padre de Texas" Stephen F Austin? 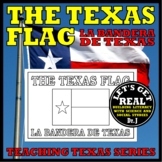 This simple coloring booklet explains in Spanish a few facts about Stephen F. Austin. 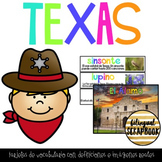 This a Texas Interactive Notebook for Social Studies. 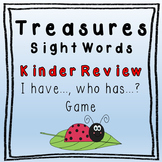 I have made for first grade but can be used with kinder or second grade. 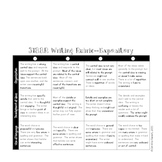 I have included the first grade TEKS that are covered.